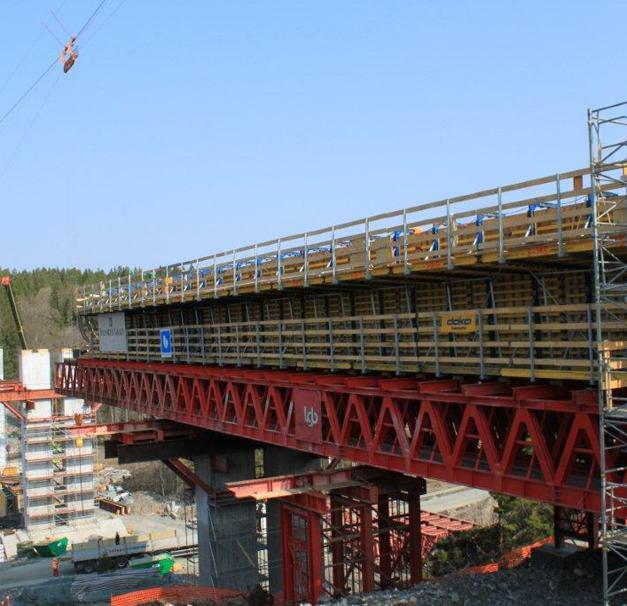 In Trollhättan, 75 km north of Göteborg, a bridge over the river Slumpån was built with the knowledge and support of Doka Sverige. 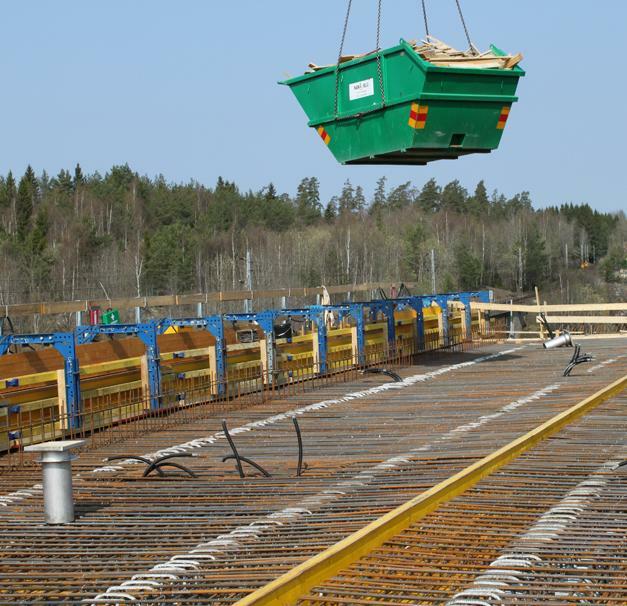 The two-track railway bridge is 382 metres long and replaces the existing structure. The concreting sections were 52 metres in length, Top 50 large-area formwork was ideal to ensure flexible and economical progress. Thank you for your interest - Slumpån Bridge. Thank you very much for your interest - Slumpån Bridge.